The other day the OU chapter of the National Student Speech-Language Association held a potluck lunch for faculty and students to have a chance to interact. The students bring in all the food, often around some kind of semester-varying theme, and all faculty need to do is show up. My understanding is that these sessions are designed for students to have a chance to talk with faculty outside of class and to have a chance for more conversation than larger sections or busy schedules might typically allow. I enjoy attending these each semester. In addition to some good food it is a chance to meet some new students and to talk more with others I already know. Our topics range all over. As is frequently the case, the topic of classes came up. Students attending the potluck are generally from first through senior year and there is knowledge and opinion to be shared spanning these levels of achievement through the curriculum. A favorite topic is that of Physics. A couple of years ago, when planning for our transition from quarters to semesters, the CSD faculty at OU decided to require two semesters of Physics for all of our undergraduate majors. One of the reasons we picked two semesters had to do with the fact that acoustics wasn’t covered in Physics until the second semester and that was a key area we wanted our students to understand more about. We also thought the fundamentals of Physics were important as they underlie so much of hearing and speech science. We talked about enhancing the math and science rigor of our curriculum to help students to be more competitive in graduate school. The faculty could see the connections. What about the students? Generally the comments I hear about Physics are related to questions about the relevance of the courses and frustration over difficulty with the material. On one level, perhaps if the material were not all that difficult to master, there would be less frustration. If the frustration feeds into existing questions about the relevance perhaps the agitation around this topic would not be quite so intense. As it is, I often hear considerable angst around Physics in CSD. In some cases students do report feeling proud of mastering a difficult topic. Others continue to struggle and discuss it as something to “get through” much like a root canal. I have addressed student concerns in multiple ways over the past few semesters. Sometimes I just try to listen. Other times I try to explain the rationale related to the fundamentals. I have even tried explored the importance of a broad education. When talking with students at the potluck, I related on one level, tried a new approach, and then was struck by a fundamental question in the process. In relating, I brought up a story about a Physics class that I took as an undergraduate student. My undergraduate degree is in Music. I was not required to take a lab course in Physics as OU CSD majors are. Rather, I took a course in the Physics of Music offered through the Physics department by an adjunct instructor. I went into the course with a bad attitude from two distinct sources. First, I had heard the course was not a good one. Second, I resented being “forced” to take a course in general. I never got past these two issues and allowed them to poison every possible issue that came up in the class while ignoring any potential stimulating topics or avenues for learning. This was a departure from my usual learning style (at least ever since High School), but never one I had thought about too deeply. Just as an example, the class was taught in a large auditorium and the instructor would set up elaborate demonstrations in the front. I sat near the back and could rarely see the demonstrations. Start fuming now– this is ridiculous…what a waste of my time…where is the relevance…and so on. I remembered feeling the way students told me they were feeling. I remembered not feeling good at all about a topic. I also remembered, that the material was in fact, difficult for me. Unlike other concepts, I couldn’t immediately “get it.” I didn’t look inward. I just defensively blamed the process or even the instructor. That is not to say that the methods couldn’t have been improved, but there was an interplay of difficulty, readiness and attitude. I recall there was a demonstration on Helmholtz resonators, that in retrospect actually illustrated the concept pretty well. I just didn’t appreciate it until I understood the underlying material better in a course on Acoustics that I took in picking up prerequisites for my CSD Master’s. I know I felt a sense of empowerment and purpose when pursuing my Master’s degree. I embraced difficult material with a confidence that I could learn it and that I wanted to learn all I possibly could for my new found career path. Unfortunately the Physics of Music course still remains in a haze of mixed regret, but mostly frustration. I can recognize now that I didn’t bring a healthy attitude to the course, but that didn’t really change my learning outcomes at the time. So now here is the thread… Physics may be more about empowerment. It may be about the individual student who, like Newton, grabs the observable world and says there is a way to understand and describe what is happening and that way is within my grasp. Envision here the student with outstretched arm, pushing through the haze of obscurity to achieve the same kind of blazing enlightenment characterized by Newton and his contemporaries… Stunning, right? Except for the previous part I wrote about how difficult the material can be, how the material can be difficult to directly relate to CSD, and how the “word on the street” is that the class is something to be dreaded or at the very least viewed negatively. What I tried to reconcile then was, how did I go from a student who resented my Physics class to one who saw the nobility of the enterprise? Was it just age and experience? If that were the case, then I would have have to go with a “you’ll appreciate it when you’re older” argument that I am extremely reluctant to espouse. I have no doubt that the connections were easier to see once I had mastered or at least better understand concepts across domains and then had time and a chance to integrate them over time. Still, if such integration is possible, then why would age be the important factor? On my bookshelf the evening following the potluck, my attention was drawn to a collection of poems. There were young poets like Dylan Thomas who had incredibly mature insights. Age did not appear to limit them in discussing fundamental existential questions. Granted, we aren’t all Dylan Thomas, but we are all human. I remember about 20 years ago, my dad introduced me to an incredible documentary series called Connections where James Burke explored interdisciplinary links to history that crossed boundaries between content in history, science and other fields and wove them into a web of interest where seemingly disparate innovations and events could be seen as inextricably entwined. As I listened, I enjoyed the way pieces were literally put into place. The scattered concepts I had learned in various units, tests, game shows moments, overheard discussions came into a kind of focus even if for fleeting moments. I have dreams of creating such a course or even curriculum someday. I know such interdisciplinary talk has been proposed in curriculum planning in the past. I’ve always been interested in it. I always wanted to do more of it. I just haven’t done it yet. Maybe it’s time for me to connect the dots. Am I the one who does the connecting though? If I do the connecting where is the learning? In Language Development, I learned about the utility and certainly the reality of Vygotsky’s Zone of Proximal Development. There is a balance to strike between what a student can do independently, what a student is ready to learn with some assistance, and what might be too far of a stretch where assistance becomes completion by someone else. I use the example of my son learning to draw triangles. He could recognize a triangle. He could not independently draw a triangle. He could however draw one when I put three dots on the paper that suggested the shape. ZPD. Conclusion… It is not up to me to connect the dots, but I can do a better job in suggesting the framework of them. Given that mixed reaction, and with the belief that when despite of very reasonable explanation something just doesn’t quite seem to track, I have been thinking about what it means to have a PhD and my role in research as someone who is also interested in direct clinical issues as well. I’m not sure if I ever considered myself a philosopher. What I know from Socrates is that confidence in knowledge was not generally related to wisdom. My dabbling in philosophical readings and outside courses was always intellectually stimulating, but I wondered where I fit in within the realm of philosophy. I had a piece of paper with the suggestion that I did fit in somewhere, so I explored the idea. I have two quotes on my website that I think sum up my “philosophy” on the “Ph” in PhD for me. These aren’t meant to be guidelines for anyone else. They are just meant to help explain how I reconciled what was at the heart of my student’s question. To what extent am I a philosopher? I remember finding this quote after listening to a course in philosophy from the Teaching Company. At the time I was relatively new in my research career and was interested in the history of Higher Education. I liked Bacon for his zeal in challenging established models of thinking and tradition. I think characteristically my goals “to change the world” involved what were in my mind novel approaches. Beyond the challenge to tradition in Bacon’s writings, what I think I most liked about the quote was how it exemplified the kind of balance I was trying to achieve with my research. I wanted something that was practical yet informed. My friends comments (and even what I recalled were my own perspectives in graduate school) about the “Ivory Tower” were still fresh in my mind. I resolved that I wouldn’t lose touch and become the reasoner spinning my cobwebs without application. Similarly, I didn’t want to be the ant who coldly built up tiny pieces with no connection to people. In the end I wanted to be the bee. I wanted to be transformative. I wanted my research to distill what I saw in the field (double meaning intended) with what I learned in my studies. I don’t know the extent to which I have achieved that, but I suppose the fact that I am asking myself that is positive in the least. In my pursuit of wisdom (see origins of word philosophy) there is discipline, deliberation, application and a reminder to slap your head and say D’Oh occasionally when you deserve or need it. I always thought of myself as pretty tech savvy. What is interesting to me is how quickly I can move in and out of that designation. For example, I can remember growing up having a Timex Sinclair http://oldcomputers.net/ts1000.html before others in my peer group, but then I remember quickly falling behind in programming after spending most of my time playing games or just doing print and goto line 10 repeat loops. I got back on board with an Apple IIc, but then fell behind again with changes in Windows. I could do word processing, but then had to catch up with email and setting up my own modem and Internet connections. I got into building my own computers (from parts not from raw silicon) and my own websites, but then fell behind again with Mobile devices. I was a pro in programming Speaking Dynamically and a Dynavox, but blinked and was behind in setting up Proloquo2Go or LAMP. I shared a pay as you go cell phone with my wife for a while and only used it when I traveled. Now I have a rooted Android phone that I almost always have with me, but can see myself falling behind again in the midst of integrated social media. I’m not sure how I will ever stay on top of all the AAC Apps short of making it my full time job. Ok it kind of is, but I have other stuff to do too. My most recent revelation about this waxing and waning came in one of my classes. I’ve caught up to a level of barely passable competence with mobile devices, Apps, blogging, social media (except FB #noFB), Blackboard, etc., but it wasn’t until I started using Twitter in my class that someone made the comment that it was different having a “tech savvy” professor. I consider many of my colleagues to be extremely tech savvy by my definitions. Some can make Matlab literally sing with incredible simulations and programming. Others can manipulate sound signals to baffle Heinrich Hertz. Still, the measure of savviness varies. What to me is savvy to others may be old fashioned. Coding a website by hand may be seen as archaic and unnecessarily cumbersome although I might consider it the measure of a wo/man in development. Being able to save a document as a pdf or embed code for a youtube video may be valuable to me, but not necessarily to others. What I learned is that if I think I’m being tech savvy for my students, I need to think about what their measure of savviness is. Not that I aspire only to be viewed as savvy by my students. What I do want though is to find ways to meet students on levels that they personally value and can use without struggling with an interface that I think is important. If my goal is to increase student interaction, then I need to be savvy on the platforms they value and can use fluently. When I first started at Ohio University in 2004, I taught a class as a live lecture that was also broadcast out to Ohio University Regional campuses. Although there was a mechanism for students to ask questions using a microphone (that at the time they had to press to activate), I wanted to find a way for students to interact with each other more. Blackboard was and still is the Learning Management System (LMS) at OU, and I thought the Discussion Board feature had a lot of promise. I worked to find a reasonable way to grade student work that would encourage active participation and wouldn’t be too onerous for me. Basically points were assigned based on entries placed on different days, that covered a minimum of posts (5 posts on at least 3 different days), and that demonstrated reading of other posts on some level (at least one post as a reply or a question posed to the group). This seemed to work ok for the first year. About a year later, a student asked me a question about the Discussion Board. She asked me to take a look to be sure she was doing it right. What I noticed was that she had over 50 unread posts in her forum and was on her last posting. I concluded that participating in one large group was not going to work and decided with larger classes it made more sense to divide the class into smaller groups. Other iterations included invited vendors and other guest speakers to participate, giving points for posts rated by others as high quality, and having members rotate in their responsibilities for grading the posts of members of their group. As time went on, what I found was students were expected to participate in more and more online discussion boards and were reporting general fatigue and a lack of enthusiasm for engaging in them. I too fell victim to this. My active participation also fell off in the discussions. Students did not like posting when there wasn’t a response. When many online outlets are capable of delivering at least a personalized auto-reply, putting work into a discussion board post that apparently no one would actually read did not seem worth while. They also found it odd to engage in a online discussion with students they either saw on a regular basis or had contact with in media outside of discussions. Students had a basic formula for writing posts on whatever days were expected and with whatever key words the instructor appeared to be looking for. Basically everyone seemed to “phone it in” which led me to believe that the utility of this particular mechanism was on its way out. Personally, I think it is time to let this particular mechanism go as I don’t see it actually promoting any kind of meaningful discussion in the class anymore. I believe we should look for other ways to promote this both in online and other classroom formats. I will just give an example of one potential direction, but will discuss this topic more in the future. 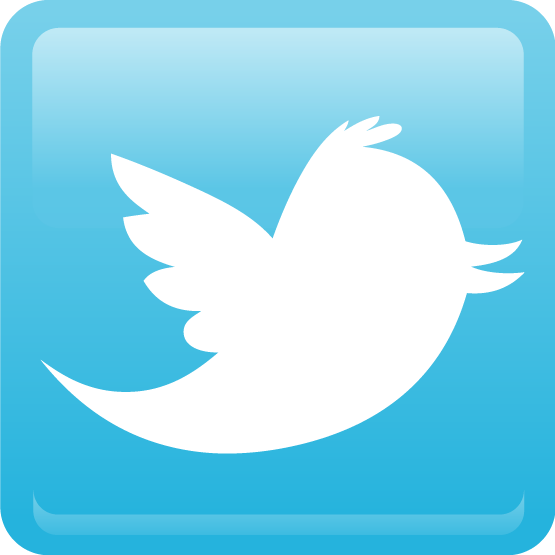 For about the past year, I have been using Twitter in my classes. As with discussions, assigning points to posts and my active involvement is key. I also don’t want to force anyone to sign up for a third party social networking site if they don’t want to, so I do give students the option to use the blog tool in Blackboard if they prefer. I’ll talk more about my use of Twitter in the classroom in another post. I was a self taught coder of html back in the 90s. I learned mostly to find a platform for trying out different AAC interfaces. I valued those skills and enjoyed coding in simple text editing programs. When I started at Ohio University, I decided to make a page for myself and then for my lab with pretty basic code that would be highly accessible, but still represent a personal touch. For me, making a page was also an advertisement of my skills. It’s that last sentence that leads me to where I am now… There is a whole new world of interactivity in websites that I want to be a part of. Although I’ve read about this, much like in the 90s, I will learn by doing. This leads me to the sentence I am currently writing and to what I hope will be may sentences in the future.